Lined Goods provides one of a kind design & lettering options for a variety of stationery pieces. 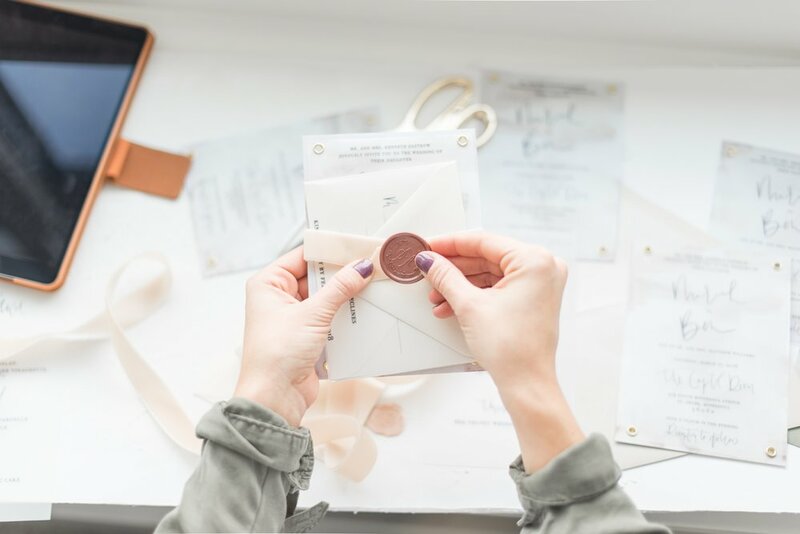 Whether you are in need of save the dates, wedding invitations or day of materials such as programs & menus, let us create something beautiful and unique for you! Digital evites are available if you prefer to send your invitation via email or print them yourself. With this option, you will receive a digital PDF file without watermarks to print at your local print shop. This is a great option if you want the design of Lined Goods, but do not need to purchase a full suite. Semi-custom suites are current suites in the Lined Goods collection that are personalized with your information, with minimal customization to color and text. Semi-custom suites can include invitation, rsvp card, additional inserts and add on's for your preference and budget. The semi-custom suites are also ideal if your timeline is shortened and you need to order something ready made! Custom suites are the best option for maximizing the potential of your wedding or event. 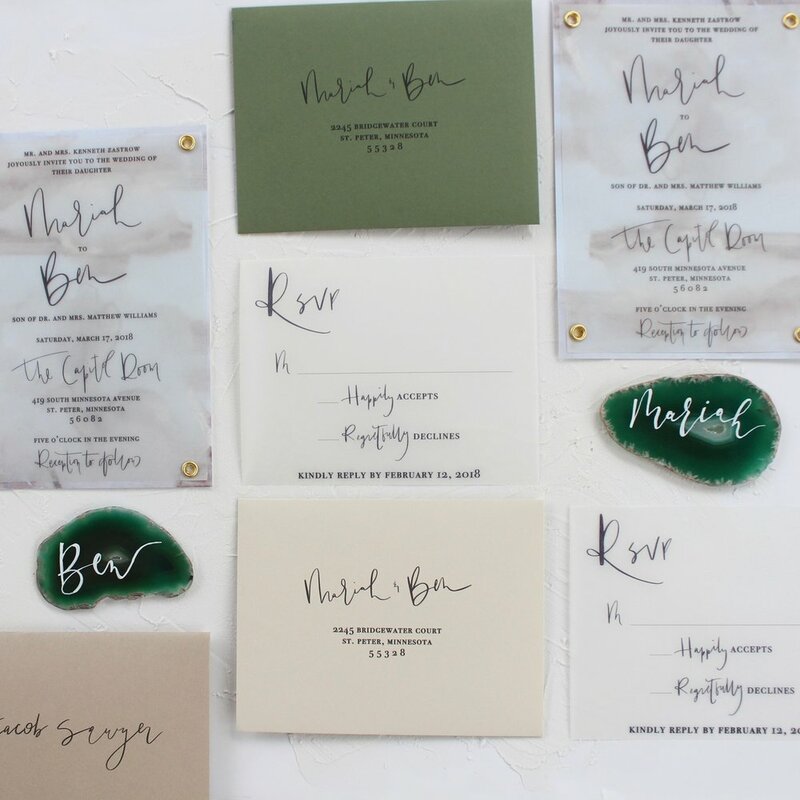 With one-on-one design, we are able to create personalized pieces that speak to the theme and design or you wedding. Get in touch today to see what is possible and how we can start collaborating on your wedding!